If you are ready to take your online social media presence to the next level, contact us today for a complimentary consultation. We specialize in producing unique content for websites, blogs, and social media platforms to share information with the fast paced business world. ​We can also help your business start and maintain accounts on Twitter, Facebook, Instagram, Pinterest, and LinkedIn (just to name a few). While we are based in the Twin Cities of Minnesota, we work with businesses around the world. 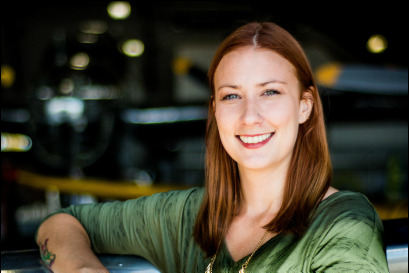 Amy Lauria, the president of Spotlight Business Solutions, has been working as a social media marketing and website ninja since 2005 when she started volunteering at the Commemorative Air Force Minnesota Wing. The museum was looking for someone to help bring their online presence to the next level and she volunteered. Working to help small businesses succeed was always something Amy enjoyed and this was a great way to accomplish that. For many years, she worked to grow the social media business. In the fall of 2013, Amy was laid off from Delta Airlines and decided to make her dream of working for herself a reality and took the business full time. Since then, Amy has worked with many different people and businesses in a variety of industries to help them reach their desired level of success. Kayla Erickson, our part time ninja is an avid creator and devoted cat mom. She has been working with Amy Lauria for years, running errands and proofreading, but only recently became an official employee. She regularly gets roped into projects around the Commemorative Air Force, and managed to finagle her way into working for Spotlight Business Solutions. She’s a painter and artist, but has fallen in love with writing for our multiple clients and supporting small businesses. Her goals include finally finishing the Game of Thrones novels, returning to Italy and helping businesses reach optimal success. While she may work full time in the auto body industry, she hopes to one day become a full time ninja. Kristina Nyquist has always loved to be creative and help people leverage the power of social media. After getting her start in 2017, she has hit the ground running and has loved every minute of helping small business and entrepreneurs with a social media presence. Kristina is excited to partner with Amy and Spotlight Business Solutions and help more small businesses and entrepreneurs reach their goals! In her free-time, Kristina loves to spend time at the MN Zoo with her husband (Ryan) and their two boys, going to see live music (Jason Mraz and Imagine Dragons), and volunteering as a member of 360 Vision for Africa and the Woodbury Days Council.